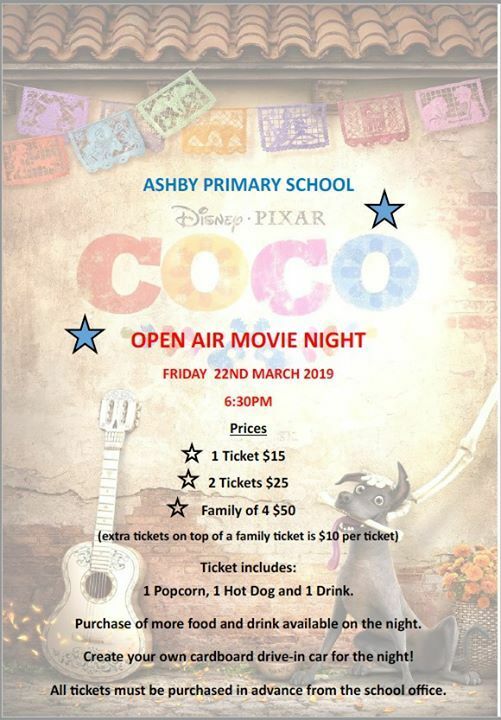 Please come along to our annual open air movie night. 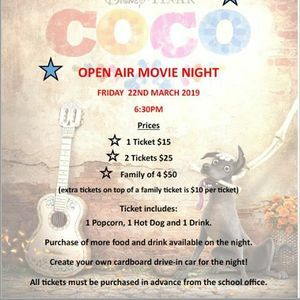 This year's selection is Coco, a Disney Pixar movie that explores the traditions of the Day of the Dead, a child's desire to become a musician despite his family's wishes, and the power of unconditional love. Tickets are on sale at the office and must be pre-purchased. Create your own box car and bring it along on the night!